A well-meant criticism never hurt anyone. In fact, it is actually a good way to be aware of one’s flaws. Suggestion boxes are everywhere, if you’ve noticed. Different business establishments want to hear about the customers’ experience with their service. This is done so that the company will know the weaknesses in their resources, through the customers’ point of view, so they could work to improve them. 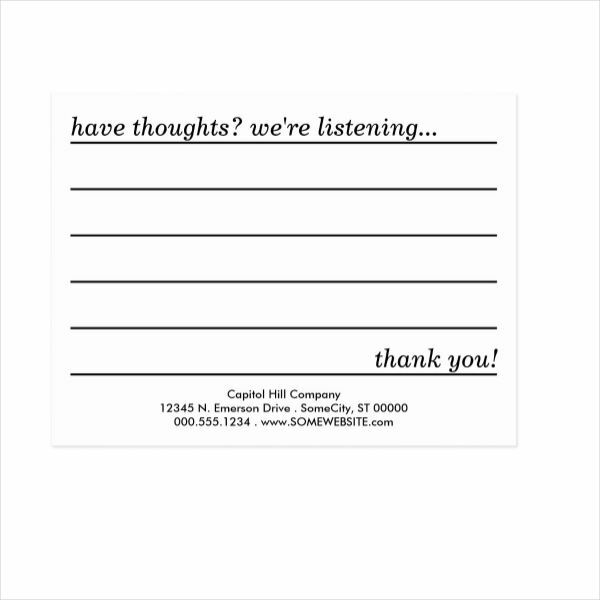 Comment cards, positive or not, are necessary in improving one’s business. You may also see thank-you card examples. 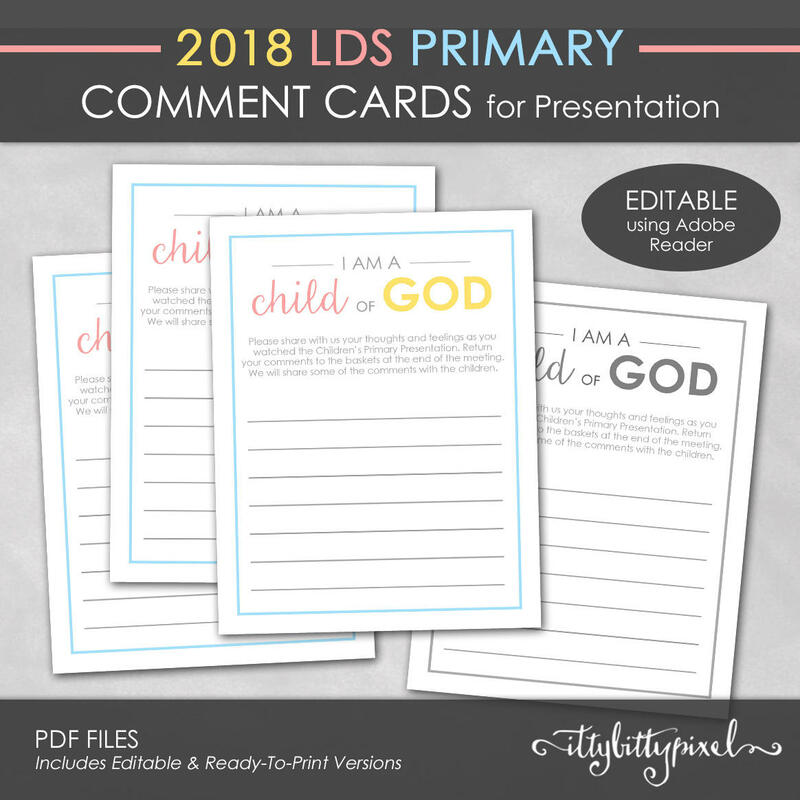 Why Are Comment Cards Important? 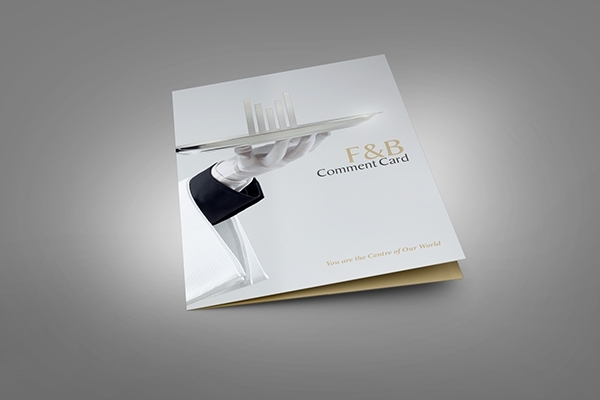 Comment cards are a way to gather remarks from consumers particularly while the comments are still fresh in their minds. This is also an effective tool in measuring customer satisfaction and showing customers that you are interested in their opinion and that you are listening. It can be a way to engage with your patrons, especially those who are loyal to your business. You want to create as much connection with them as possible. You may also check out greeting card designs & examples. 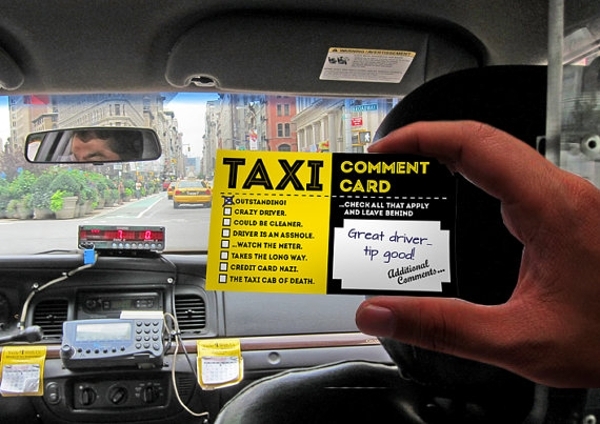 Comment cards can also be a source of testimonials which the company can use for advertising. After all, there is no better advertisement than those that are honest, positive feedback from your satisfied customers. But then again, not everyday is a sunny day, and not all comments are flattering. Yes, you may hear heart-warming comments about how great your service is, but there are also really unsatisfied, really grumpy clients who have nothing sweet to say. Prepare yourself for that! Although they may sting, they can also be a chance for improvement. Every feedback is. These unhappy customers can be your inspiration to better your services. Ypu might be interested in birthday card designs & examples. Comment cards will also help you learn the strengths in your service so you can work to maintain or improve them. Take the time to ask your clients which parts of your services they find pleasing. With this knowledge, you can have an inkling on what your customers want. If used wisely, this knowledge can be a strength for your business. You may also see fall greeting card designs & examples. These are, too, very efficient in opening your eyes to problems and issues you didn’t know existed. If you’re a restaurant manager, you may already be aware of the serving time issue that many customers complain about, especially during weekends or dinner hour. But you may not know that some customers have experienced rudeness and general unprofessional behavior from some of your staff. 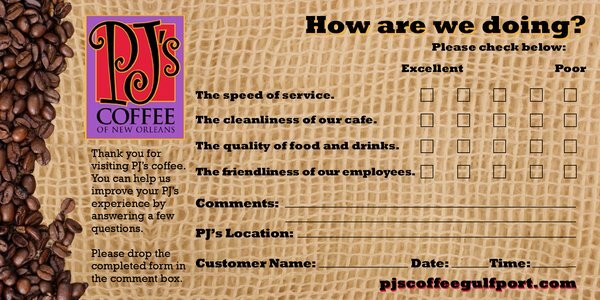 Through comment cards, you can be made aware of the lapses in your service. You may also like photo greeting card designs & examples. You can also show your employees these comment cards so they will also have an idea on which part of their performance needs improvement. According to clients, do they need to be nicer and more approachable? Perhaps a little more warm smiles? This can be constructive for them, too. You might be interested in examples of name card design. 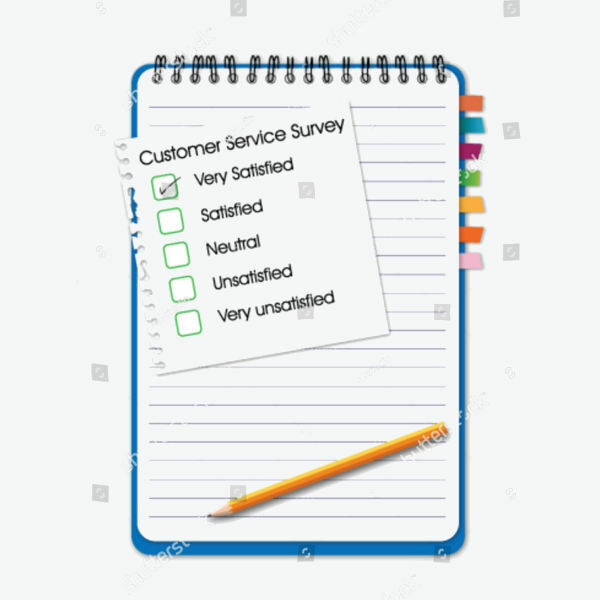 Comment cards are also an immediate, available way to allow your customers, particularly the unsatisfied ones, to rant about their dissatisfaction. 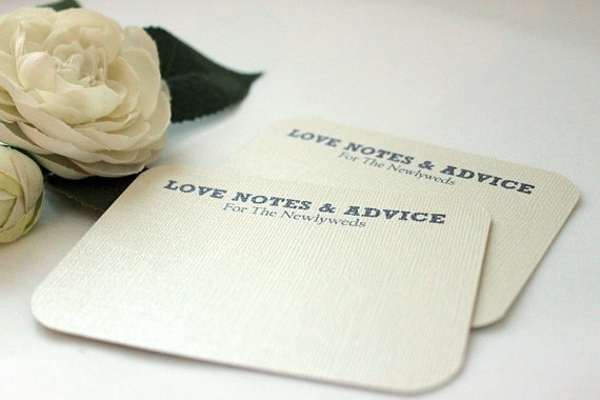 Writing feelings on paper is a great way to let off steam and this can also work with customers. It would be better for your business if your clients can let their feelings out. Remember, word-of-mouth is really powerful. 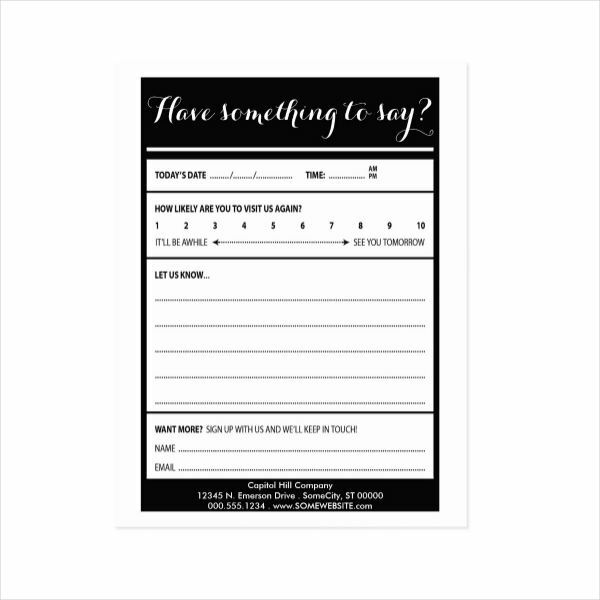 Comment cards give customers the chance to express their feelings before they can tell their friends about it or worse, badmouth your business on social media. You may also check out examples of business card design. On another positive note, comment cards are great energy boosters. Telling your employees about the happy, satisfied comments from your customers can really make them feel appreciated. This can also inspire them to do better at their jobs since their efforts are obviously being noticed. After all, there is nothing like a compliment to brighten someone’s day! What Should Be Written on a Comment Card? Of course, the things you want to write on your comment card are the things you want to hear an opinion on. Do you want to know what people think about the tasty food you serve? About your office building? About your products? About your staff? Then put them all on your comment card. It is also very important to include a little comment section where your customers can tell you about their business experience with you. Or tell you the things they want to experience with you. Many business owners think that they know what their clients need but nothing beats personally hearing from the customers the improvements they want. You may surprise yourself with the number of helpful comments clients leave. You may also see christmas cards examples. Try not to overwhelm your comment card with too many questions though. Ten questions or so is probably enough. Some impatient or busy customers may not answer everything so it’s best to keep it short. Include only the important, pertinent questions. Also, some customers may prefer being anonymous so you can ask for contact information and leave it up to them whether they’ll provide or not. 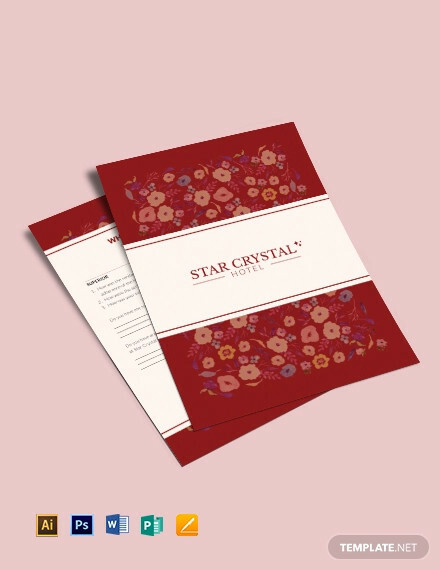 You may also like wedding greeting card designs. Comment card questions are best in the form of little check boxes or a grading scales. Don’t let them answer every question with an essay because although they are willing to answer your cards, they may not want to spend too much time on it. By asking customers to answer a comment card, you’re also asking them for a favor. Make that favor as brief and as painless as possible. You may also check out music business card examples. Most importantly, DO NOT put things that you are NOT willing to change in your comment card because if your customers complain about them, they will expect you to work on it. If you are not open to altering it in any way, then best leave that out of your comment cards. Clients will sincerely appreciate it if they see improvements in the things they whine about. And if they don’t, they will feel as if their comments are not heeded and that is not good for your business’ image. You might be interested in clean business card designs and examples. Where Should Comment Cards Be Placed? 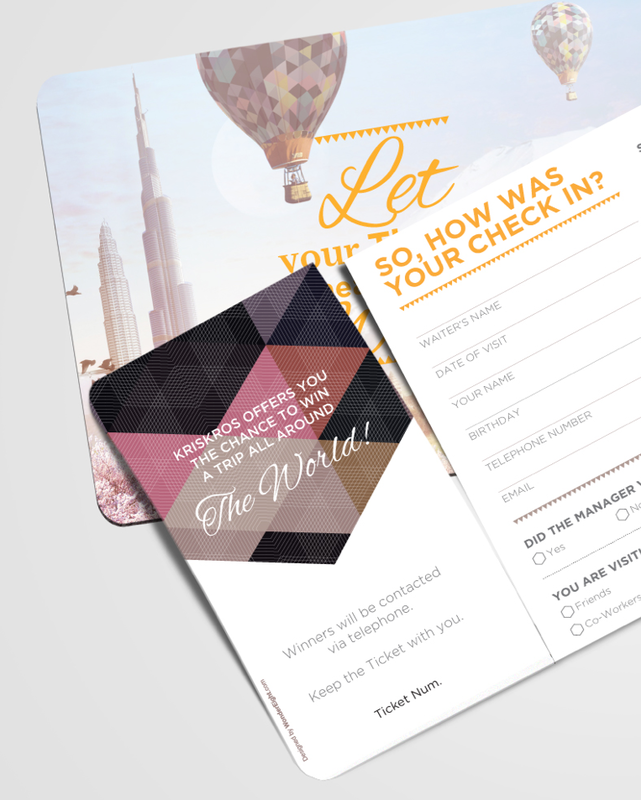 Ideally, comment cards should be placed somewhere most accessible to your clients. You can put them on a table in the lobby, in front of the cash register, in waiting areas, or dining tables. Provide pens as well since you can’t expect your clients to be bringing one all the time. You may also see examples of student business cards. Of course, since comment cards are intentionally placed in public areas, expect some practical jokes or pranks written on them by (probably) bored customers. Don’t worry about them too much though. The worst they can do is waste your paper. 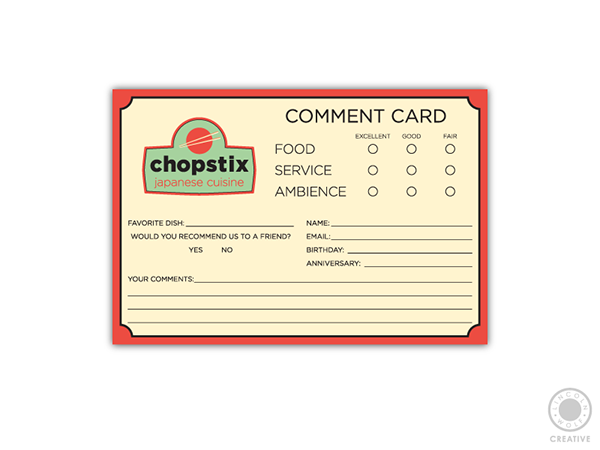 Make sure you check your comment cards as often as possible so you can keep track of your customers’ suggestions. 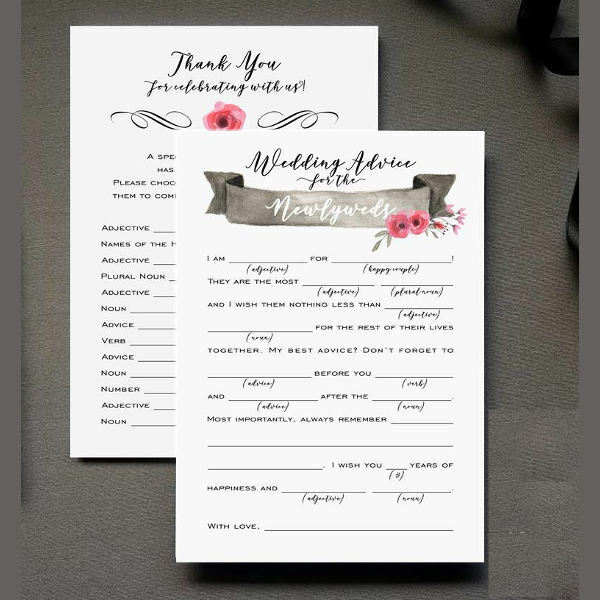 You also have the option of making your comment cards accessible online so your clients will have choices. Or you can mail them to your loyal patrons. Having different platforms for your comment cards will send the message that you are truly interested in asking for comments, and your clients will appreciate your efforts in creating more than one medium of reaching out to them. You may also like examples of musical greeting card designs. Since your customers are giving you a little more of their time by filling out your comment cards, give them something in return. Nothing fancy, nothing expensive, just a token to tell them you acknowledge their toil. Perhaps a free dish from your restaurant, or a 10% discount coupon for their next purchase. Small things like these have a massive impact on them. You may also check out rack card designs & examples. 1. Comment Cards Don’t Offer Solutions. This is one of its disadvantages. They can’t solve anything for the complainant. They can only be an assurance that the complaint has been heard, heeded and worked on. But the solution may not always be ready and immediate. Nevertheless, you should still try to work on the issue so that when the customer visits your business again, he can see that there are improvements and that his comment was helpful. You may also see star wars greeting card examples. 2. They Are Often Out Of Sight. It is important that you place your comment cards in places available to clients. What is the purpose of these if none of your customers can see where they are? It won’t hurt having a few sets of these scattered in various places in your company. 3. Not Worth The Effort. Some would say that comment cards are not helpful or that they are a waste of time. Yes, it’s true that there will be customers who can’t be bothered to answer these comment cards thoroughly BUT THEY ARE NOT A WASTE OF TIME. At least one of 5 customers will provide a helpful suggestion (or insult) and you can already use that to your advantage. When it comes to the betterment of your business, no effort is ever wasted. You may also like dental business card designs and examples. Businesses can only prosper if they have high customer satisfaction rate. Those who don’t are driven out of business before their time. If the opinion of these people are really that powerful then perhaps exerting a little extra effort in listening to them wouldn’t be so bad. This is one thing that a lot of business owners may overlook. You may also check out anime greeting card designs & examples. If you’ve put off creating comment cards, then start creating them right now. Chances are, they will provide you with the answers you need to improve the quality and state of your business.